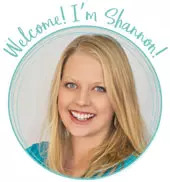 by Shannon Clark in Save Money | 2 comments | Contains affiliate links. The library is way more than just books. 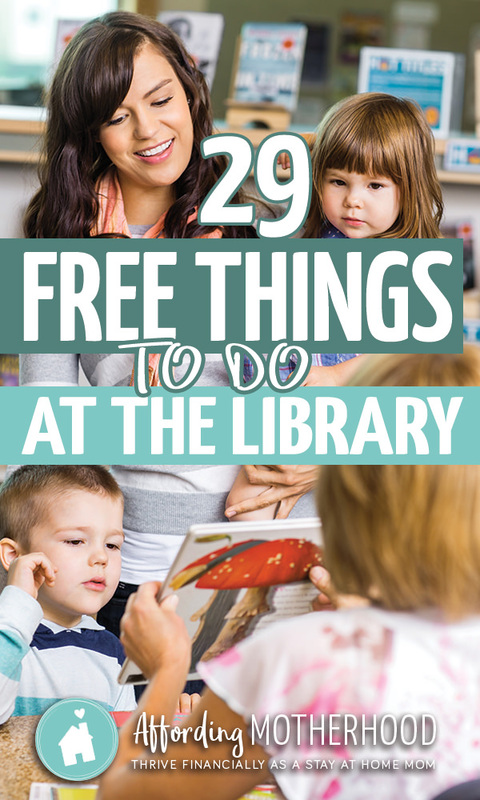 Check out these free things to do at the library, perfect for creating awesome memories with your kids -even on a tight budget. Just because you’re a stay at home mom doesn’t mean you want to sit around the house all day, right? As a stay at home mom with two kids at home and a tiny entertainment budget, I’m always looking for fun activities to do together that don’t cost a thing. Our local library has proved to be a great resource for this. Have you ever stopped to think about how amazing the library is? At my local library, I can walk in and carry out up to 60 new books, DVDs, and references. If they don’t have what you like, you can request it from another library and it will be waiting next time you visit. If they still don’t have what you want, you can request that they buy it. And at least at my library, usually, they do. While you’re there, you can give your toddler a free preschool-like experience and connect with other moms at story time. 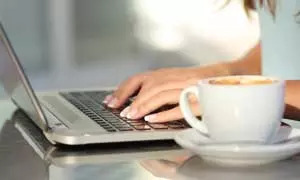 You can also log onto a computer and browse the internet or access databases and software. All they ask is that you bring back what you borrow within a few weeks, or renew, and renew again. That way this busy mom of two actually has a chance of finishing a book! In fact, you don’t even have to leave home to use this amazing resource. You can simply log in and download e-books right onto your computer or e-reader. And you can use all these beautiful words, information, entertainment, and learning for FREE. Books aren’t the only thing you can get for free at the library! Try these fun activities to do to at the library with your family. You can enjoy entertainment and make memories together, even on a tight budget. I wanted to give you a grand total for how much I’ve saved by using my local library in a year, but honestly, I always lose track! I can say it’s a lot, though. We’ve been to story time, checked out countless books, browsed the amazing free preschool curriculum, downloaded ebooks and audiobooks, checked out movies, and more all for FREE! Each year the average American spends $109 on reading materials, and hundreds more on music, movies, software, and admissions to museums and entertainment venues, so your library is a great way to save money on fun activities for you and your kids. If you want to save some money, grab your library card, and go have some fun! Looking for even more free things to do with your kids? Create fun memories with your kids without busting your budget with my e-book 76 Free Things to Do with Kids available on Amazon. Sit around the house all day? What stay at mom does that? For me personally i have lots too do with 2 littles. LOL! They keep us busy for sure, right? I more meant literally being at home.